1. Adopt independent mono balanced transmission amplifier structure to effectively eliminate dynamic crosstalk interference. 2. The audio signal input consists of a common-gate common-base differential amplifier circuit composed of a field effect transistor and a bipolar transistor. The famous transistor is used for differential voltage amplification. The final stage consists of 24 high-power transistors to form a powerful power output stage, which can easily push down to 2 ohms. Large speaker with impedance. 3. The power supply part consists of 1500W toroidal transformer and 120,000 microfarad sound special electrolytic capacitors. With the large aluminum alloy radiator, the performance indicators such as sound field localization, analytical power and sound energy stability are greatly improved. 4. In the 50W, it is the output state of Class A, and the tone is delicate and thick. When it exceeds 50W, it will automatically switch to the Class A and B output mode, which will make it possible to play the big dynamic music software. 5. Added balanced and unbalanced signal input options to connect two preamps of different timbres. 6. It can set the output status of Class A or Class A and B, which is convenient for adjusting the tone. 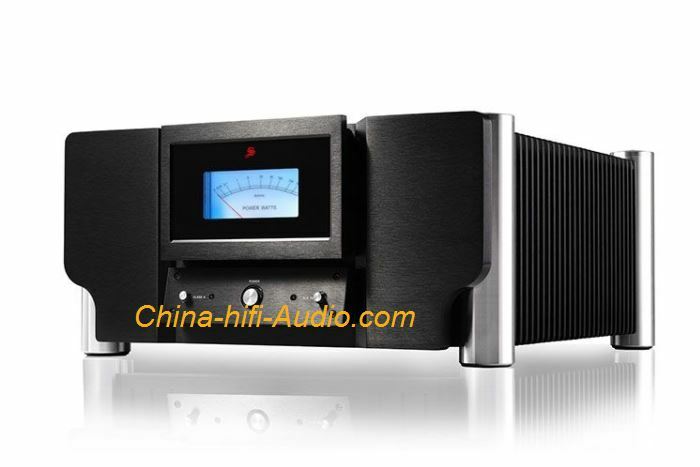 It can also choose to save power consumption and greatly reduce the heat of the chassis, so that you can choose the appropriate working mode when listening to different music content. 7. The unbalanced signal input terminal and the speaker connection terminal are all made of the WBT brand made in Germany. The balanced signal terminal is made of the NEUTRIKP brand made in Switzerland. The internal audio signal cable is made of imported wire, which makes the audio signal more ideal. 8. The panel is equipped with a blue power watt indicator meter, which allows the user to clearly observe the machine output power working data; fashion dynamic and ornamental.